But, unfortunately for the 700 species of plants and animals that rely on the refuge (called ANWR for short), the land sits on 7.7 to 11.8 billion barrels of oil. Last week, the Senate voted to open up the refuge to oil and gas drilling for the first time ever. The measure tagged along in a revision of a tax bill, which would need approval from the House of Representatives and President Trump. 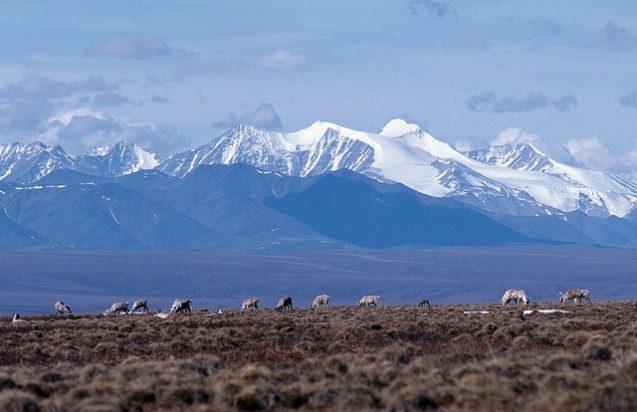 Although Congress has unsuccessfully attempted to open ANWR to drilling nearly 50 times, The Hill reports that this time the provision is likely to survive and become law. 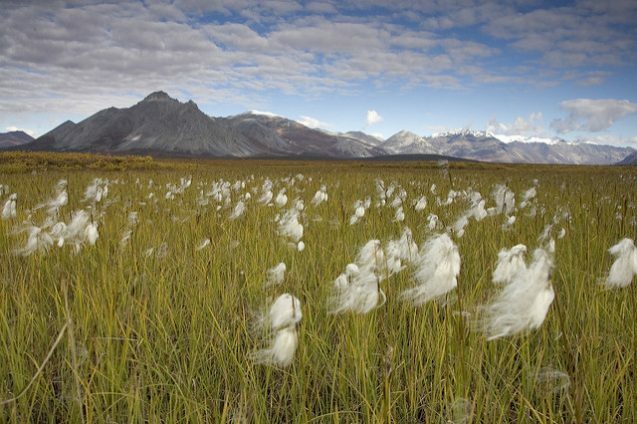 The argument for drilling in the Arctic National Wildlife Refuge is economic. Proponents say it will create jobs, generate $1.1 billion over the next decade, and make the country more energy independent. Alaska’s economy depends on the oil industry for one-third of its jobs, but other oil prospects are drying up, according to Alaska’s (pro-drilling) Resource Development Council. Opponents fear that drilling would threaten the way of life for indigenous tribes who rely on caribou and other wildlife for sustenance. Others argue that the oil in the reserve isn’t enough to put a dent in oil prices or imports (America brings in about 3.7 billion barrels of oil per year from foreign nations), while contributing to climate change and outdated energy policies. And, last but not least, there’s the potential threat to wildlife. Natalie Boelman studies how climate change is impacting animals and plants in the Arctic. She’s an earth scientist at Columbia’s Lamont-Doherty Earth Observatory whose research often brings her into the remote areas near ANWR. We asked her how she thinks oil operations would impact the region. Boelman has firsthand experience with the oil industry in Alaska. Ironically, she says the only reason she and her colleagues are able to gather data from the far-flung regions of the 49th state is because of the Trans-Alaska Pipeline System. The 800-mile network of tubes and pump stations carries crude oil from the state’s northern coast to the southern coast, abutting ANWR on part of its route. Access roads run alongside the pipelines so that workers can maintain the pipes. The pipeline company works with the researchers to get them access to some of the restricted roads. But she thinks the animals will care quite a bit if drilling starts up in the refuge and other nearby territories. Oil spills can be devastating for wildlife. Oil can coat fur or feathers, destroying their insulation or water-repelling abilities and increasing the animal’s risk of hypothermia. It can be poisonous if ingested. It can also kill plants, and is very difficult to clean up. When companies are exploring for oil, they drive huge tundra tractors that can rip up vegetation and destroy permafrost. “You can still see the tracks decades later,” says Boelman. She also worries about the construction trucks, the power lines, and the increased road traffic that would come along with oil development. Even the noise and the dust from such operations can harm the local fauna. Boelman suspects waterfowl and caribou are most likely to be affected. “In the spring, every pond or puddle is covered in ducks and geese,” she says. “It’s loud. There are millions, billions of them that count on these areas for breeding habitats. The region is essentially one of the Earth’s most important bird nurseries.” Some of these birds, like Steller’s eider, may even be threatened or endangered species. And the impacts may not remain local. The area designated for drilling (ANWR’s North Slope) is also a key calving ground for caribou. Females return there year after year to give birth in the coastal plain. Caribou aren’t a threatened species, but biologists think they may be on the brink of a steep decline due to climate change. Spring keeps coming earlier to the Arctic, but the deer have kept to their age-old schedules, meaning they miss the prime foraging season. At the same time, warmer conditions support hordes of mosquitoes and flies that can attack, weaken, and kill calves. Oil and gas development has exacerbated caribou decline in other areas. “They may not be able to adapt to whatever changes come with the oil industry,” says Boelman. If Congress and the president open the refuge to drilling, the changes won’t be felt immediately. It could take a decade or more for Alaska to work out leasing details with interested oil companies. After that, it could take a few more years to set up the necessary infrastructure for drilling. 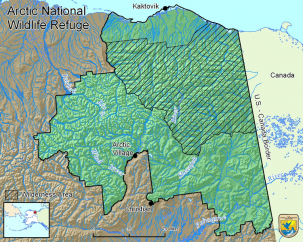 Companies are not exactly chomping at the bit to drill in ANWR, some analysts say. In addition to the lawsuits and negative attention from environmentalists, The Hill reports that oil explorers would face additional challenges from drilling in an area where they haven’t got much experience. Plus, a democratic Congress or president could put up additional roadblocks in the intervening years. At the same time, rising oil prices could make the refuge a more tempting target. For now, the future of the Arctic National Wildlife Refuge looks to be as uncertain as ever.